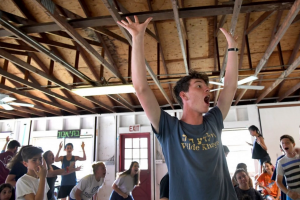 When Zev Shofar, a 14-year-old from Takoma Park, started going to Jewish summer camp seven years ago, the children all learned the Hebrew words to introduce themselves. “Chanich” means a male camper; “chanichah” means a female camper. But what if Zev didn’t feel male or female — neither a chanich nor a chanichah? Read more …. 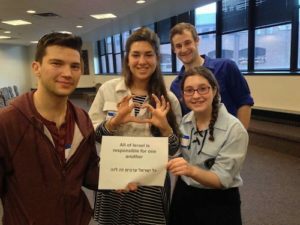 Participants in Ein Zo Agada gained a newfound appreciation for Israel and discussed why they care about it. “If you will it, it is no dream,” Zionist leader Theodor Herzl wrote in 1902. 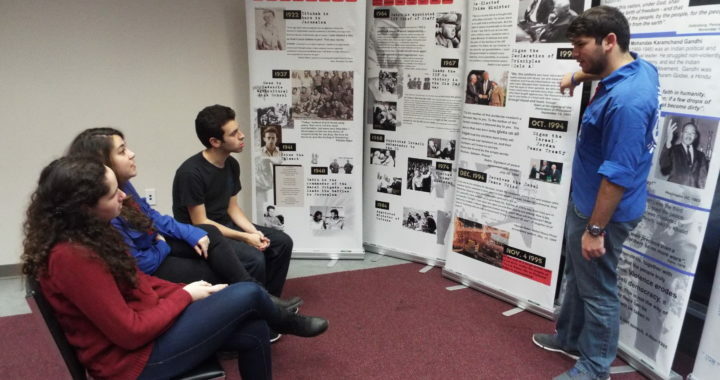 More than a century later, Herzl’s words — translated into Hebrew — served as the inspiration for an auspicious gathering of educators and Jewish teens called Ein Zo Agada (“It Is No Dream”), which took place on a recent Sunday afternoon in Philadelphia. On a little corner of Gabriola Island lies an enclave of old-style Jewish utopianism. 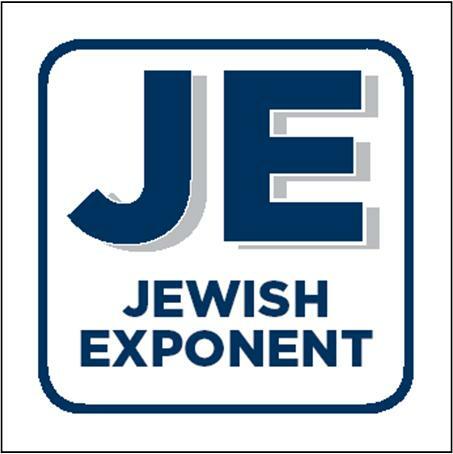 Modeled after a kibbutz, campers (chanichim) and counselors (madrichim) talk about heady topics like radical justice, equal worth, unionization, socialism and Labor Zionism. Summer camp for Eliza Smith includes more than the typical swimming and s’mores around a campfire. It also includes discussion of Middle East peace and cleanup duty in the bathrooms. 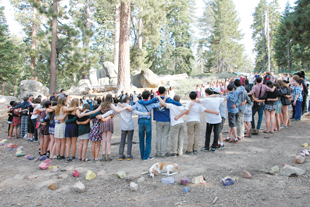 That’s how they roll at Camp Gilboa, a Jewish summer camp in Southern California to which the 15-year old Berkeley High School junior has returned every year since she was 8. Located in the San Bernardino Mountains, Gilboa encompasses 40 forested acres where campers age 8 to 17 — many from the Bay Area — can hike, make artsy crafts and engage in other typical summer camp activities. Read more …. 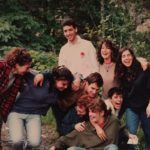 JCamp180, a philanthropic organization based in Massachusetts, is the reason why Ontario’s Camp Gesher has brand-new cabins and a much more sophisticated board of directors. Read more …. 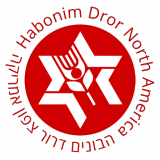 NEW YORK (Press Release)–The U.S. Area Elections Committee chair has found that there is no basis for the request made by the ZOA to disqualify the Hatikvah progressive Zionist slate, established for the upcoming World Zionist Congress elections in the United States. Ironically, the ZOA is attempting to delegitimize the ideological heirs of those who established the state of Israel and since that time have helped sustain the Zionist dream. Ameinu, Partners for Progressive Israel, Habonim Dror and Hashomer Hatzair, the organizational members of the Hatikvah Slate, have presented a platform that represents today’s mainstream peace and democracy camp of Israel. Read more ….. Anyone who happened to pass by the library at the Jewish Community Services Building in Center City on Nov. 13-14 was virtually transported to Rabin Square in Tel Aviv. ABOVE Dan Shahar (right) does a trial lecture for fellow exhibit leaders (from left) Adi Goldberg, Hila Huber and Ross Weisman. Photo by Amishai Gottlieb. 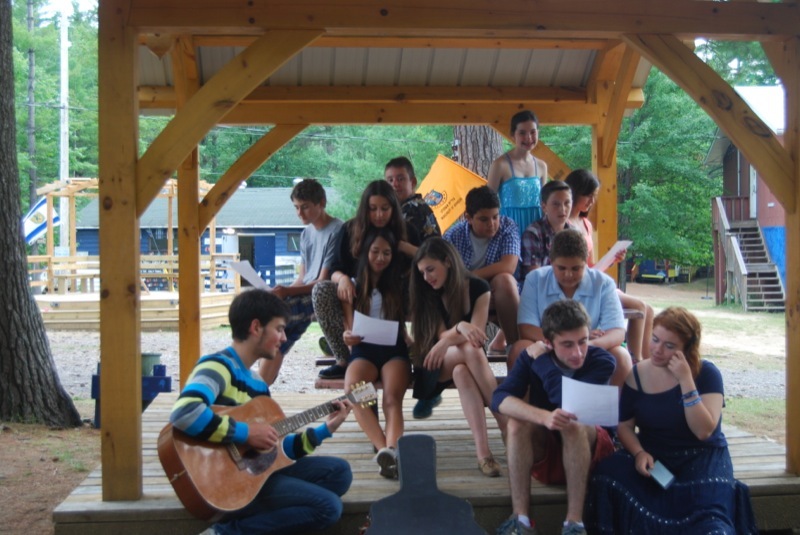 Camp Tavor has always had a “no technology” policy in place for campers. Camp staff have access to computers to plan activities and are allowed to bring their personal cellphones to camp, but are not allowed to use their phones around the campers. Read more ….